Sahasrāra, or Sahastrara, is the seventh primary chakra, according to Hindu tradition. Sahasrara is either located at the top of the head in that one area, or a little way above it (see Sahasrara system of minor chakras below). Sahasrara is described with 1,000 multi-coloured petals which are arranged in 20 layers each of them with 50 petals. The pericarp is golden, and inside of it is a circular moon region, inside of which is a downward pointing triangle. Often referred as thousand-petaled lotus, it is said to be the most subtle chakra in the system, relating to pure consciousness, and it is from this chakra that all the other chakras emanate. When a yogi is able to raise his or her kundalini, energy of consciousness, up to this point, the state of Samādhi is experienced. In some schemes of chakras, there are actually several chakras that are all closely related at the top of the head. Rising from Ajna, we have the Manas chakra on the forehead, which is closely associated with Ajna. Above Manas there are Bindu Visarga at the back of the head, Mahanada, Nirvana, which is located on the crown, Guru, and then Sahasrara proper, located above the crown. Bindu Visarga is located at the back of the head, in a place where many Brahmins keep a tuft of hair. It is symbolised by a crescent moon on a moonlit night, with a point or bindu above it. This is the white bindu, with which yogis try to unite the red bindu below, and it is the source of the divine nectar or amrit which falls down to vishuddhi for distribution throughout the entire bodily system. This white drop is considered the essence of sperm, while the red bindu is considered the essence of the menstrual fluid. This chakra is sometimes known as the Indu, Chandra or Soma chakra. In other descriptions, it is located on the forehead, white, with 16 petals, corresponding to the vrittis of mercy, gentleness, patience, non-attachment, control, excellent- qualities, joyous mood, deep spiritual love, humility, reflection, restfulness, seriousness, effort, controlled emotion, magnanimity and concentration. The name of this chakra is 'Great sound', and it is in the shape of a plough. It represents the primal sound from which emanates all of creation. This chakra is located on the crown of the head. It is white in colour and possesses 100 white petals. It marks the end of the sushumna central channel. It is responsible for different levels of concentration, dharana, dhyana and savikalpa samadhi. 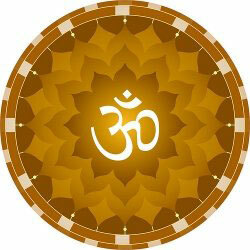 The guru chakra is located above the head, just below Sahasrara proper. It is white, with 12 white petals, upon which is written the guru mantra, Ha Sa Kha Freng Ha Sa Ksha Ma La Wa Ra Yung. It contains a circular moon region, within which is a downward pointing triangle containing a jewelled altar with the crescent moon below and circular bindu above. Inside the bindu is the seat, upon which are the gurus footstools, upon which are the Gurus feet. This position is considered very important in Tibetan Tantric practices of deity yoga, where the guru or deity is often visualised above the crown, and then bestowing blessings below (for example in the Vajrasattva purification meditation). Within Sahasrara, there are yet more levels of subtlety. Within the triangle begin a series of ever higher levels of consciousness; ama-kala, the first ring of visarga, nirvana-kala, nirvana shakti, which contains the second ring of visarga. From here, kundalini becomes shankhini, with 3 and a half coils. The first coil of shankhini wraps around supreme bindu, the second coil of shankhini wraps around the supreme nada, the third coil of shankhini wraps around shakti, and the half-coil of shankhini enters into sakala shiva, beyond which is parama shiva. Ama-kala is the experience of samprajnata samadhi. This is symbolised by two dots, one of which is inside ama-kala, and the other of which is below supreme bindu, which represents the transition from samprajnata samadhi to the oneness of asamprajnata samadhi. Here kundalini absorbs even the experience of samadhi, through the power of supreme control (nirodhika fire). Here kundalini passes into the supreme void, which is the experience of asamprajnata or nirvikalpa samadhi, and becomes shankhini. Kundalini then wraps around and absorbs the supreme bindu, which is the void, the supreme nada, and shakti, and then unites with and absorbs shiva, before finally being absorbed into paramashiva, which is the final stage of nirvikalpa samadhi. Sahasrara is related to the crown of the head. It is sometimes related to the pineal gland and sometimes to the pituitary gland. The crown wheel is important within the Highest Yoga traditions of Buddhist Vajrayana. It is triangular, with 32 petals or channels that point downwards, and within it resides the white drop or white bodhicitta. Through meditation, the yogi attempts to unite this drop with the red bodhicitta in the navel, and to experience the union of emptiness and bliss. It is very important in the Tantric practice of Phowa, or consciousness transference. At the time of death, a yogi can direct his consciousness up the central channel and out of this wheel in order to be reborn in a Pure Land, where they can carry on their tantric practices, or they can transfer their consciousness into another body or a corpse, in order to extend their lives. In the West, it has been noted by many (such as Charles Ponce' in his book Kabbalah.) that Sahasrara expresses a similar archetypal idea to that of Kether in the kabbalistic tree of life, which also rests at the head of the tree, and represents pure consciousness and union with God. Within the Sufi system of Lataif-e-sitta there is a Lataif called Akfha, the 'most arcane subtlety', which is located on the crown. It is the point of unity where beatific visions of Allah are directly revealed. 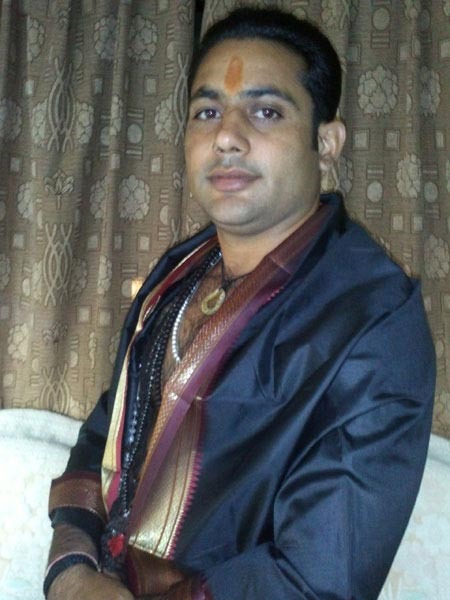 In Tantra: Adhomukha Mahapadma, Amlana Padma, Dashashatadala Padma, Pankaja, Sahasrabja, Sahasrachchada Panikaja, Sahasradala, Sahasradala Adhomukha Padma, Sahasradala Padma, Sahasrapatra, Sahasrara, Sahasrara Ambuja, Sahasrara Mahapadma, Sahasrara Padma, Sahasrara Saroruha, Shiras Padma, Shuddha Padma, Wyoma, Wyomambhoja In the Vedas and late Upanishads: Akasha Chakra, Kapalasamputa, Sahasradala, Sahasrara, Sahasrara Kamala (Pankaja or Padma), Sthana, Wyoma, Wyomambuja In the Puranas: Parama, Sahasradala, Sahasraparna Padma, Sahasrapatra, Sahasrara, Sahasrara Kamala (Parikaja or Padma), Shantyatita, Shantyatita Pada In the Agni Yoga teaching, the Brahmarandhra is often referred to as "the bell" (Russian: колокол).